Fermentation is a natural process whereby bacteria breaks down organic substances. You can almost look at it as digestion by the bacteria – which means that the substance after fermentation has already been digested by the bacteria, making it often easier to digest for humans. In many cases, the bacteria that aids in fermentation can also help with your gut health. If you want to stay healthy, then you should add some more fermented foods to your diet – just a couple of times per week is enough to restore your gut health for good, and you’ll feel much healthier overall. Here are some fermented food facts you might not have known about. Fermented foods are any foods that have been put through the fermentation process. Simply, you already know what fermented foods are – even if you don’t know much about the process behind it. Yoghurt is one fermented food that most people have consumed in their lifetime. Other fermented foods are things like yoghurt, khefir, kimchi, sauerkraut and even pickles. 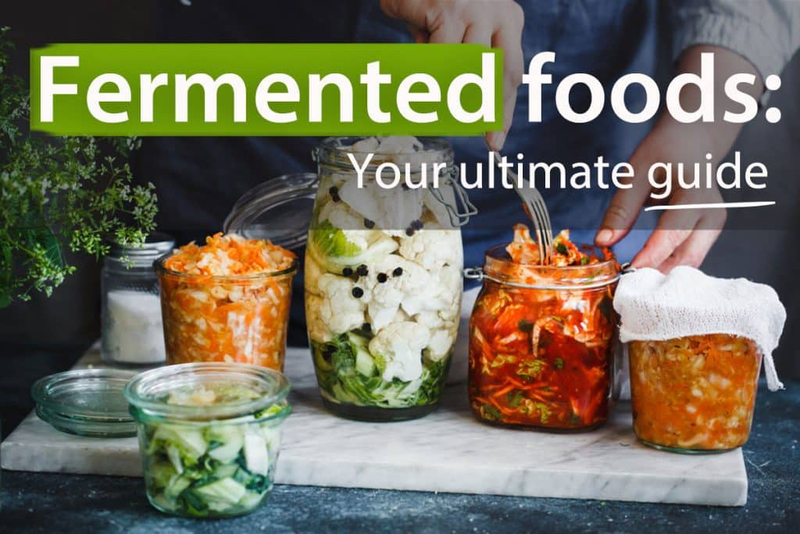 Of course, there are plenty more types of fermented foods – but all of them have the same benefits for your body and gut health. They’re good for you! Kimchi is a traditionally spiced and fermented cabbage dish that can almost be compared to sauerkraut, and it’s so popular in South Korea that it’s known as their national dish – but at the same time, South Korea is currently considered to have a kimchi shortage because of imports from outside of Korea that have been flooding the market. The process of fermentation is known for upping the nutritional value of most foods – and you know that food will be higher in nutritional value overall after fermentation than before. Fermented foods are also great for your gut health, and easier to digest for many people who are already struggling with gut issues. Fermented foods and gut bacteria aren’t just good for you: They’re essential for your body. That’s why doctors will recommend a course of yoghurt containing live cultures after a course of antibiotics – it allows your gut health to recover so you can be healthier. We’re pioneers in food trends, and we’re ready for any changes that come our way. Fortress Nutrition LLC has a solid history of meeting strict specifications for our customers based on consumer preference, restrictive diets and much more. Rest assured that you’re in good hands with Fortress Nutrition. To learn more about how we tailor our blending, ingredient sourcing, logistics, consumer packaging, and other services to meet customer needs, and to find out how we can partner with you to ensure compliance with new GMO laws, contact us today.